Our mission is to radiate Christ’s joy through radio by teaching the truths and traditions of the Catholic Church, sharing God’s love and mercy to the fallen away Catholics and to the unchurched. 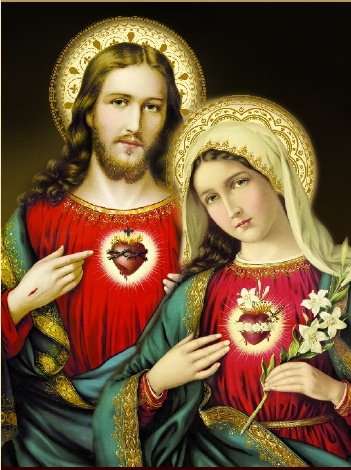 We consecrate our Catholic Radio Lay Apostolate to the Immaculate Heart of Mary and the Sacred Heart of Jesus. May the power of the Holy Spirit move the hearts and souls listening to Saint Paul Radio and drive them home to the eternal reward. Amen. We are a non-profit corporation and a 501(c)(3) organization in West Virginia dedicated to the development of Catholic radio to spread the good news of Christ by the Catholic lay apostolate. We are governed by a lay board of directors of committed Catholic men and women of faith. We ask first for prayers of the faithful that our Catholic radio apostolate may flourish and prosper to achieve its mission in service to the Church and the people of God. Please listen and encourage others to hear the truth of the Catholic Faith. The volunteers of St. Paul Radio share a keen desire to promote Catholic radio in our region in the steps of the great evangelist and its patron to shine the Word – Christ, the Light onto all people. Our Bishop has specifically endorsed St. Paul Radio and its mission in the spirit of our patron to spread the Catholic faith to others. Please join us in our mission and become an ambassador of the New Evangelization with us! Your contributions are critical to the success of Catholic radio.